Organising transportation for any event is no easy task but with thousands of people attending Glastonbury Festival, getting your transport booked is essential. 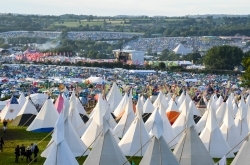 Glastonbury Festival is held from 26th June to 30th June 2019 and Tor Town Taxis can meet all your travel needs. 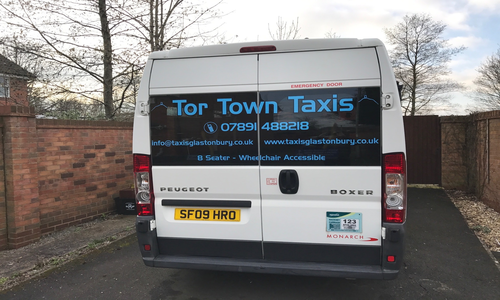 Tor Town Taxis offer cheap taxi services for all attending Glastonbury Festival. With taxi bookings from airports, seaports, train stations and your own home, this is always a swift process. The Best Way To Travel? Whilst there are several methods of transport to get to Glastonbury Festival, taxis may be the best option for your needs. Glastonbury Festival taxis will give you the opportunity to relax before and after the event, whilst also easily transporting all of your belongings and baggage to the venue. When camping at the festival, this can often make your trip much less stressful. There are several other ways you could get to and from the event including coach, train, bus, bicycle and park and ride. Despite this, taxis still offer the best option to ensure you arrive at the location on time and you never require further travel once the taxi has dropped you off. Getting the festival on time should always be a priority and with taxi services, it shouldn’t be an issue. Not only can driving to the festival be very tiring, you also have to pay for parking passes that cover you for the length of the festival. Glastonbury Festival have a dedicated, 24-hour drop and collect service to ensure long walks are never required when you are travelling to the event. This section even holds a burger van and brick built toilets, making it the perfect location to be dropped off at or collected from. The drop off location offers much quicker access to the site and you can even catch a bus that will lead you straight to the quickest access to the site. As this is much more cost effective without a parking pass being needed, it makes taxis the ideal choice for every individual or group going to Glastonbury Festival. As well as picking you up from any location you require, taxis are also a great choice if you are travelling into the area via airports, seaports or train stations. Carrying all your luggage such a long way can be exhausting and using Glastonbury Festival taxis is always the perfect solution for your needs. Whilst you may not want to pay for a taxi booking all the way from your home, we can make sure we always arrive on time for when your train, ferry or flight comes in and immediate travel is available for you. Offering the same service after the festival, we make sure you never miss any transport with a fast taxi service after the festival. Whilst coaches can often be a good option, it can be difficult to travel with all your items. If you are travelling in a large group, even the biggest coaches may not fit all the items you require. Taxi services can be much more suitable, even if it means travelling in smaller parties. 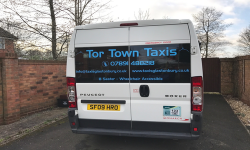 With Tor Town Taxis, you have the choice of several different vehicles, ensuring there is always enough space available to store all your items, before and after the festival. Transporting all your belongings is often the most stressful part of the festival before you can enjoy it but with our taxi service, this is made much simpler for every individual. If you would like to make a taxi booking or require immediate travel for Glastonbury Festival, get in touch with Tor Town Taxis. We can always make a quick booking and discuss the vehicles we have available, ensuring your requirements are always met. Call us today on 07891 488 218 or fill in our contact form to make an enquiry.